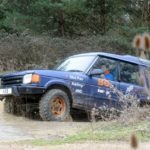 Our 1 to 1 4×4 Off Road Driving Course is the ultimate challenge, driving Land Rover Discoveries our highly skilled experts will show you just what these 4×4 vehicles are capable of and then teach you to tackle obstacles that would be impossible for any normal vehicle giving you a thrilling off road adventure! 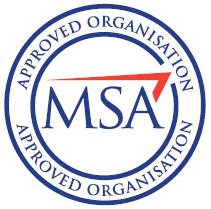 We are a BORDA (British Off-Road Driving association) accredited School. The Off Road Magazine quoted us as being one of the best compact 4×4 off road courses in the country! Minimum driver height – 4ft 11 inches. 4×4 Off Road Driving Course vouchers make perfect presents for any occasion, sent out 1st class post on day of purchase (if before 2pm). 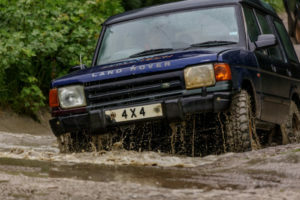 All 4×4 Off Road vouchers (open dated) are valid for 18 months and sent in a presentation brochure. Thanks Andy Great Day Cheers mate. Martyn. I just wanted to say thank you for being able to fit the 4×4 experience in for my son, he loved it. Thank you to Craig for being a great instructor and making it a great experience for Tony.